Now that we know the next mainline movie starring our favorite mutants is officially titled X-Men: Dark Phoenix and will grace cinemas next year, it comes as no surprise that Fox has already gotten the ball rolling when it comes to casting. While it’s fully expected that some familiar actors will be returning, each entry in the franchise has introduced a healthy amount of newcomers, and the latest information to come down the grapevine supports that trend continuing. With that, young talent such as Alexa Swinton (Billions), Rarmian Newtown (The Family, Dance Academy) and Paul Mescal have each auditioned for the roles of Marie, Shane and Sam, respectively. Now, those roles seemingly sound innocuous and could each be code names, but many are speculating that Marie is, in fact, Rogue given that’s her real first name. Personally, I think this isn’t far-fetched in the slightest, and I’ll tell you why. Ever since First Class reinvigorated the franchise back in 2011, one constant that it and each subsequent installment honored was casting younger onscreen versions of the characters we’ve come to know and love. At first, it was folks such as Charles Xavier, Magento and Beast, and, eventually, the next generation consisting of Cyclops, Jean Grey, Storm and several others. 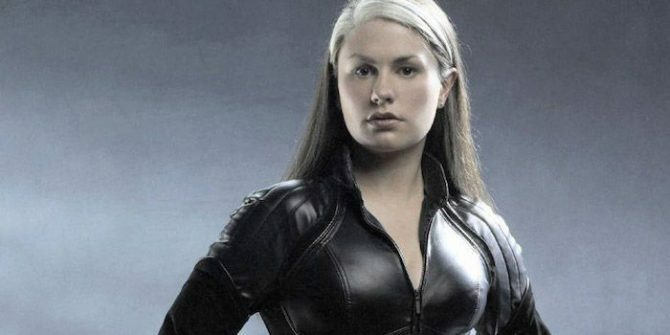 If anything, the ending of Days of Future Past taught us that Rogue still looks like Anna Paquin down the line, so if indeed a young actress such as Swinton is cast as a child iteration of Rogue, it’ll at least keep the timeline consistent. Hopefully we’ll have more to report on this front before long as cameras will need to start rolling later this year in order for X-Men: Dark Phoenix to meet that November 2, 2018 release date.